Paula’s investigation begins when she receives news that during the renovation of an old house in Amsterdam, a shoebox was found with several dozens of old postcards and letters by a young man named Flip Slier. Flip, Paula’s first cousin-once-removed, was gassed in Nazi concentration camp Sobibor in 1943, but she knew little more about him or her other relatives. His letters become Paula’s only hope to shed light on the history of the family’s past. “I had grown up with practically no information about my family. And so the discovery of the letters of Flips Slier was an opportunity to have a sense of history and sense of identity and belonging to a family,” Paula says. As she delves into her family’s history, Slier travels from the Netherlands to Poland, where she meets with the grandson of Auschwitz commandant Rudolf Hess. 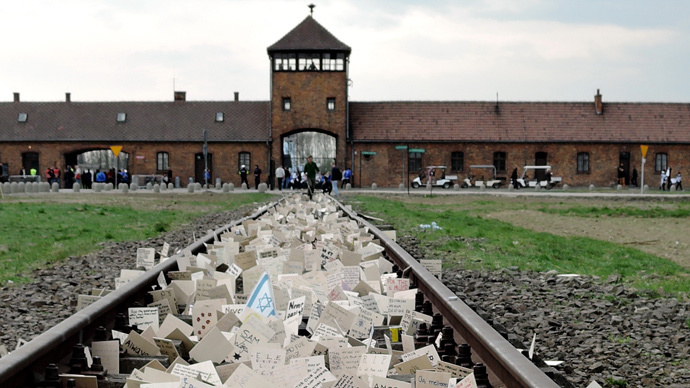 During the meeting, she experienced “conflicted” feelings, even though the man has separated himself from his family and only uses his surname to convey the message that Auschwitz must not happen again. Amid her investigation, she unexpectedly discovers that as many as 119 members of her family were killed in concentration camps. “Most of them were gassed in Auschwitz. I am talking all about my grandfather’s brothers and sisters, my great-aunts, my great-uncles, my cousins, my great-grandmother,” she says. Paula, who has served as RT’s Middle East Bureau Chief since the channel started broadcasting in 2005, says that today, 70 years after the end of WWII, we are witnessing attempts to rewrite history. “If each of us was able to know our own families’ story, there would never be the threat that our stories will be rewritten or misrepresented,” she says. The documentary is showing globally on RTDoc and RT International from May 20.